On 14 November an article titled ‘Ireland should not aspire to providing legalised killing‘, written by Breda O’Brien, was published in the Irish Times. It contains the usual inaccuracies, convenient fudges and glittering generalities we’ve come to expect from anti-abortion op-eds over the years. The article follows and refers back to another opinion piece published in the same paper just four days previously about former physician and convicted murderer Kermit Gosnell. Let’s be clear, even though we really, really don’t need to: Kermit Gosnell was a criminal and was tried, convicted and imprisoned as such. Seeking to imply that Gosnell’s crimes are reflected, even in some small measure, in practices in abortion provision generally is about as reasonable as suggesting that the actions of Michael Neary or Harold Shipman were medically and statistically unexceptional. Ms O’Brien tries nonetheless to legitimise this absurd position and give weight to pure bluster by conjuring up the tired anti-abortion myth of trained medical practitioners routinely botching one of the most common medical procedures in the world. Ms O’Brien cites figures from a report by the Confidential Enquiry into Maternal and Child Health (CEMACH) (which gathers neonatal mortality data for England, Wales and Northern Ireland). However, she gets both the report wrong (the figures she cites are in the report for 2005, not 2007) and the figures wrong, apparently confusing median with average. It’s a lucky confusion, apparently beefing up her non-argument that once Ireland legalises abortion, incompetent doctors will—for no apparent reason—habitually half-finish terminations and gaze coldly on as newborns struggle for life. We’ll give her the benefit of the doubt and assume she’s simply got her sums wrong. In any case her ‘average’ period of survival in cases of neonatal deaths as one hour is more than likely a country mile wide of the mark. Neither are ‘some babies surviving for 10 hours and 15 minutes’, as she claims. The report contains no evidence whatsoever that any more than one newborn survived this long. One is not ‘some’. But when the facts themselves are not particularly convincing, this kind of gentle stretching of the fabric of truth is par for the course. 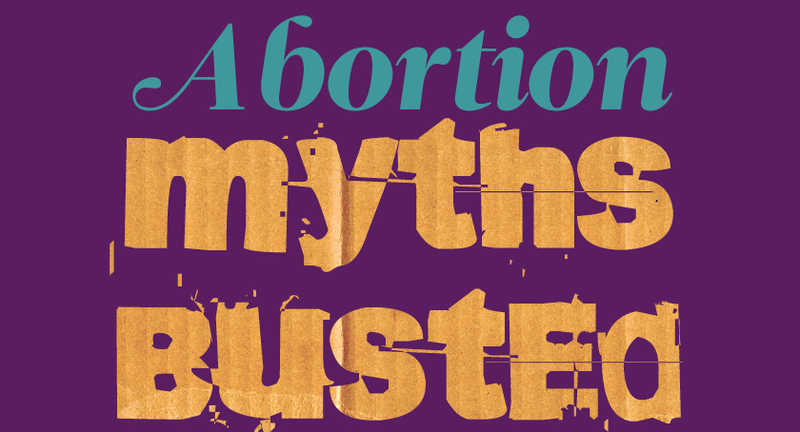 Ms O’Brien uses this shoddy foundation as a springboard to argue for late-term abortion bans. To borrow from Micheál Martin, we’re not going there—because we’ve gone there before. ‘What would a world without abortion look like?’ concludes Ms O’Brien. The answer is less abstract than the question: we need only look to those countries that are ‘abortion-free’ (read: free from legal abortion, but where illegal, unsafe abortion is rampant) and extrapolate from incidences and trends to form a global hypothesis. Across large swathes of the Global South not only is abortion unavailable legally, but even the safety valve of a proxy provider—in the form of a nearby jurisdiction where the procedure is legal, or of medications ordered online—is rendered an impossibility due to poverty and geographical expanse. The result? More, not fewer abortions, higher incidences of infanticide following birth and massive maternal death rates due to unsafe, illegal abortions. Again, we’ve been here before. In the light of these facts (facts in the, er, factual sense, not the ‘pro-life’ sense), Ms O’Brien’s blithe assurance that ‘we don’t have to be afraid of such a world’ can only be considered as either staggeringly naive or a cruelly disingenuous dismissal of the lives, health and self-determination of women globally.